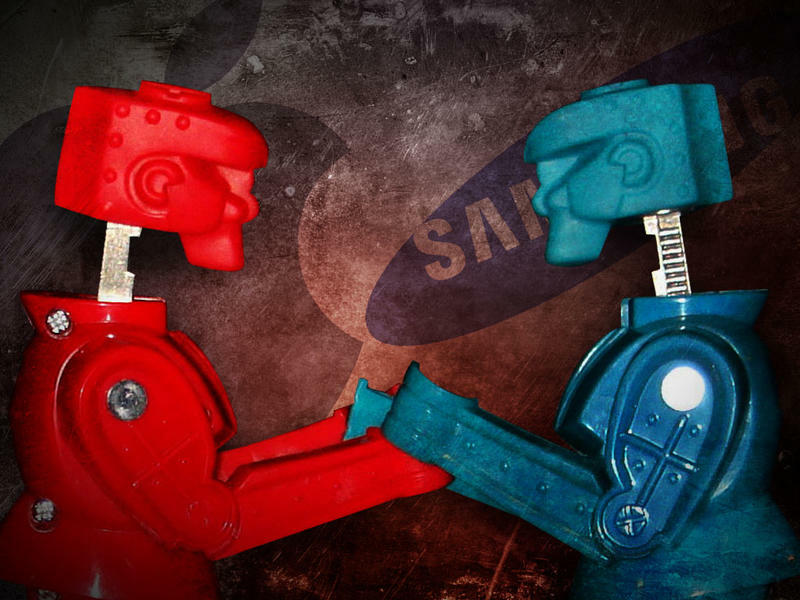 Apple is suing Samsung and Samsung is suing Apple; today, the two companies will meet in court in front of 10 jurors who will ultimately decide whether or not Samsung owes damages to Apple for infringing on patents and creating "copy cat" products, or if Apple is infringing on patents owned by Samsung. There are tons of nitty gritty details and, to spare you them, we'll introduce you to how Judge Lucy Koh described the case to those aforementioned jurors. "There are two basic types of patents in the United States: utility patents and design patents. In general terms, a "utility patent" protects the way an article is used and works," Koh explained to the jury, according to IDG News. "It also protects a method or process of making or doing something. On the other hand, a "design patent" protects the way an article looks. A design patent protects the ornamental design of an article of manufacture. 'Ornamental design' means the shape of the design and/or the surface decoration on the design." Apple, as you may know, is holding four design patents over Samsung's head — hence the "copy cat" claims — as well as three utility patents. Meanwhile, Samsung is arguing that Apple's iPhone and iPad are infringing on four of its utility patents. Samsung believes the claims against it are invalid, a fair argument against infringement, Koh explained, and believes Apple's infringements were "willful." Ultimately, Apple is seeking up to $2.52 billion in damages from Samsung and the jury will decide if that's a valid sum — of if it's a valid claim at all. Apple is also seeking an extended injunction on Samsung's products. "For each party's patent infringement claims against the other, the first issue you will be asked to decide is whether the alleged infringer has infringed the claims of the patent holder's patents and whether those patents are valid," Koh explained to the jury. "If you decide that any claim of either party's patents has been infringed and is not invalid, you will then need to decide any money damages to be awarded to the patent holder to compensate it for the infringement." Koh said that, should the jury find that either firm infringed willfully on patents, that she will take that into account. A willful infringement, however, will not affect the monetary damages, she explained. Koh also said she will explain the meaning of any language that might confuse the jury so that there is proper understanding of the evidence. Koh explained the definition of "trade dress" and dilution and how to discern whether or not Samsung has infringed on Apple's iPhone registered trade dress. A trade dress, Koh explained, "concerns the overall visual impression created in the consumer's mind when viewing the non-functional aspects of the product and not from the utilitarian or useful aspects of the product." Best Buy's claims that customers returned Galaxy Tab products after realizing they weren't iPads would probably fall under this category, we imagine. "For Apple's dilution claims, the next issues you will decide are whether Apple's trade dress was famous before Samsung started selling its accused products, and whether Samsung's accused products are likely to cause dilution of the asserted Apple trade dresses," Koh said. The judge also promised to provide more details on all of the aforementioned issues at the "conclusion of the case."